Photographer Ernesto Bazan has been kind enough to share with us some insight on the creation of his two beautiful limited edition books, Bazan Cuba and Al Campo. Both books feature images from Bazan’s time in Cuba. The color photographs in Al Campo were made during Bazan’s exploration of the country’s farmland, an area that recalled his native Sicily. Visiting it frequently for several years, Bazan made many friends. “Our interactions allowed me the opportunity to experience and photograph intimate rituals such as working in the fields, sharing meals, smoking sugar-tasting cigars rolled before my eyes by Fidel’s skilful hands, sipping sweet rum shots as we conversed about the sowing and the harvesting of crops and about our families and our existence. My way of shooting changed,” Bazan says. Bazan Cuba is a more personal project. Collecting over a decade of his photography in Cuba, the black & white images are a beautiful view of the country. “Of the thousands of pictures of Cuba by Cubans and foreign photographers, none that I know look very much like these. The images here are stamped throughout with the photographer's name, his perceptions, his mind, and they tell a story that belongs to him alone,” writes Vicki Goldberg. The limited edition of Al Campo is presented in a large hand-made wooden box reminiscent of a cigar box. 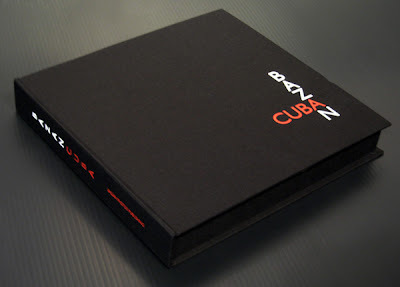 The Bazan Cuba limited edition comes in a hand-made clothbound clamshell box. Both include a print. "The idea of making limited editions came up as we started laying out Bazan Cuba in 2006. I knew deep inside that after spending 14 years of my life in Cuba photographing strangers, my family and my farmer friends I wanted to have full control of the making of this very personal book. "After teaching for so many years to my students how to better edit their own work, I felt that I wanted to make a book listening to their many voices, advice and suggestions. At the end of each workshop, I'd show the dummy to my students and listen. I'd tell them to be honest and direct. If they would make a convincing argument to eliminate an image or move it somewhere else in the sequence I'd follow their advice and toss away an image or move it around. In the end, we were left with the 118 images taken over a decade of living on the island. Over 50 students greatly helped also in the sheer designing of the book's cover and the graphic. "If that wasn't enough, 50 students helped me to raise the money to self-publish the book by pre-acquiring limited edition copies. In what I find very moving, they simply trusted their maestro. Thanks to this unprecedented support we went to one of the best printing press in Italy (8 of them came with me) and be brought the book to light. "To make the clamshell box of the limited editions of Bazan Cuba, I used an old Italian master near Verona, who used Fabriano acid free paper and Thai black linen cloth. The title of the book was serigraphed on top of the box in white and red. We made three limited editions of 100 c in the three languages the book was printed, namely, English, Italian and Spanish. For each edition we used a different photograph. "All prints were made from the original negative by my personal printer Fausto Perez Sanchez under his strict supervision and archivally processed on fiber base warm-tone double-weight paper. Each print was selenium-toned to provide a more unique look to each photograph. "Bazan Cuba won in 2009, the best book of the year award at the New York Photo Festival. The English edition sold rapidly after it came out in 2008 and it has now become a collector's item and very few copies remain. "For my second color Cuban book Al Campo, a searing yet intimate book of color photos grounded in the Cuban countryside, where I lived and shot among my farmer friends for five years, we used the same approach with the only difference that this time around over 70 students participated both in the creative and financial aspects of the making the book. 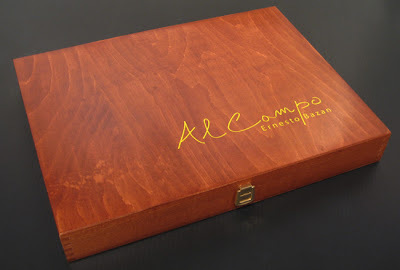 "For the Al Campo three Limited editions, once again, I relied on the help of an Italian artisan specialized in making wood-boxes. After looking at various prototypes made with different types of wood, we settled for a light birch wood to make the cigar-like wooden boxes that house the limited editions. The title of the book was serigraphed on top of the box. These are incredible. Super nice person and wonderful photographer. He was at LOOK3 this year!